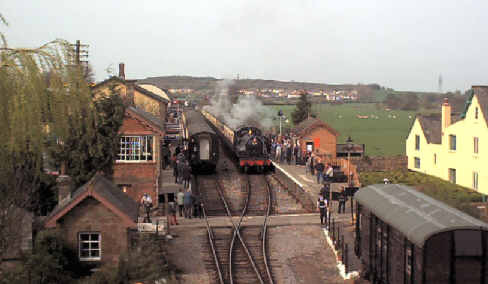 Williton is another crossing place, here 80136 is running in with a down train. 80136 waiting as 5224 runs in with an up train. 5224 stands waiting for the staff for the single line. And leaves to start the climb up through the Quantocks to Stogumber and Crowcombe Heathfield. 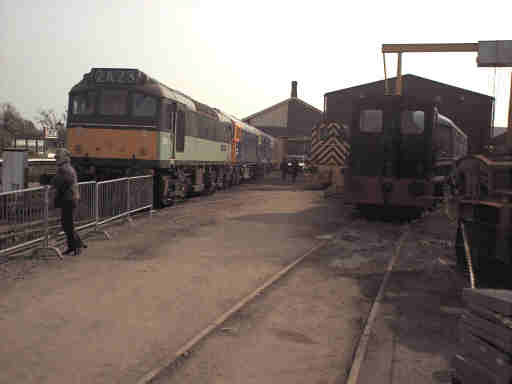 Williton is the base of the Diesel and Electric Preservation Group, a line up of some of their locos is usually to be seen alongside the down platform. 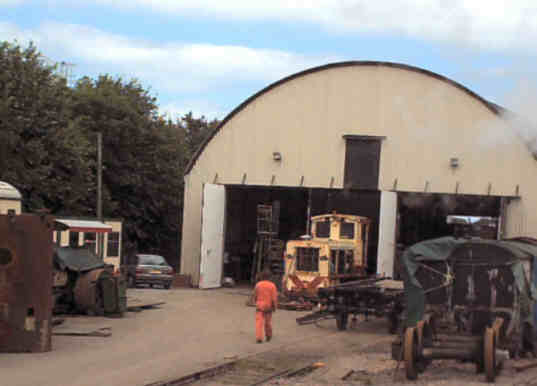 A second workshop at Williton is that of the West Somerset railway Association where a variety of stock including Bulleid light pacific 34046 Braunton is undergoing restoration, in view outside is a narrow gauge diesel belonging to the Lynton and Barnstaple Railway.